Video-on-demand (VoD) applications have become extensively used nowadays. YouTube is one of the most extensively used VoD application. These applications are used for various purposes like entertainment, education, media, etc., of all age groups. Earlier, these applications were supported by private data centers and application servers. Sufficient infrastructure had to be bought and maintained, to support the demand even during unexpected peak times. This approach caused huge loss of resources when the demand is normal as a large portion of the resources remained idle. To overcome this, VoD application providers moved to the cloud, to host their video content’s. This approach reduced the wastage of resources and the maintenance cost of the VoD application provider. The problem is to determine the number of resources to handle the demand while maintaining QoS for every instance. 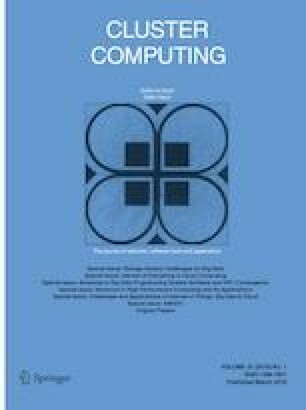 We have designed two algorithms in this paper, namely the multiple cloud resource allocation (MCRA) algorithm and the hybrid MCRA algorithm. Most of the cloud service providers (CSPs) basically provide two types of resource allocation schemes: (i) the reservation scheme and (ii) the on-demand scheme. The reservation scheme provides time-based tariff prices, where the discount is provided for the resources depending on their quantity and reservation time. This scheme is used in the MCRA algorithm to reduce the cost of the VoD application provider. In Hybrid MCRA algorithm both the reservation scheme and on-demand scheme are implemented, to overcome the drawbacks of the MCRA algorithm which are under-subscription and over-subscription. We have analyzed both the algorithms in terms of cost and allocation of resources. These algorithms can help allocate resources in of cloud for VoD applications in a cost-effective way and at the same time not compromise on the QoS of the video content.